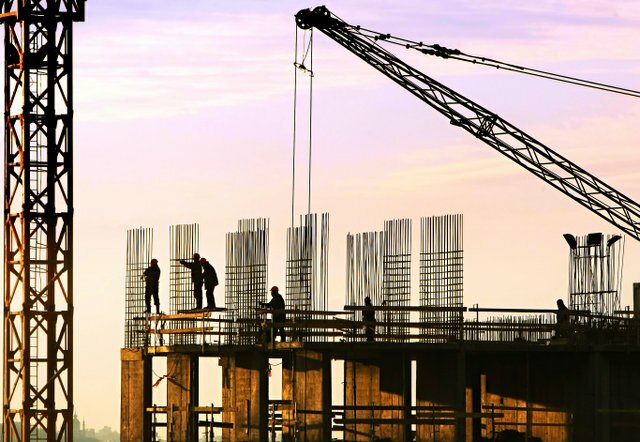 Dodge Data & Analytics recently released its 2019 Dodge Construction Outlook, a mainstay in construction industry forecasting and business planning. The report predicts that total U.S. construction starts for 2019 will be $808 billion, staying essentially even with the $807 billion estimated for 2018. “An important question going into 2019 is whether deceleration is followed by a period of high level stability or a period of decline. For 2019, it’s expected that growth for the U.S. economy won’t be quite as strong as what’s taking place in 2018, as the benefits of tax cuts begin to wane. Short term interest rates will rise, as the Federal Reserve continues to move monetary policy towards a more neutral stance. Long-term interest rates will also rise, reflecting higher inflationary expectations by the financial markets. At the same time, any erosion in market fundamentals for commercial real estate will stay modest. Single family housing will be unchanged in dollar terms, alongside a modest 3% drop in housing starts to 815,000 (Dodge basis). There will be a slight decline in homebuyer demand as the result of higher mortgage rates, diminished affordability, and reduced tax advantages for home ownership as the result of tax reform. Multifamily housing will slide 6% in dollars and 8% in units to 465,000 (Dodge basis). Market fundamentals such as occupancies and rent growth had shown modest erosion prior to 2018, which then paused this year due to the stronger U.S. economy. However, that erosion in market fundamentals is expected to resume in 2019. Commercial building will retreat 3%, following 2% gains in 2017 and 2018, as well as the substantial percentage increases that took place earlier. While 2018 market fundamentals for offices and warehouses are healthy, next year vacancy rates are expected to rise as the economy slows, slightly dampening construction. Hotel construction will ease back from recent strength, and store construction will experience further weakness. Institutional building will advance 3%, picking up the pace slightly from its 1% gain in 2018 which itself followed an 18% hike in 2017. Educational facilities should see continued growth in 2019, supported by funding coming from numerous school construction bond measures. Healthcare projects will make a partial rebound after pulling back in 2018. Airport terminal and amusement-related projects are expected to stay close to the elevated levels of construction starts reported in 2017 and 2018. Manufacturing plant construction will rise 2% following the 18% jump that’s estimated for 2018. The recent pickup in petrochemical plant projects should continue, and cuts in the corporate tax rate from tax reform should encourage firms to invest more in new plant capacity. Public works construction will increase 4%, reflecting growth by most of the project types. The omnibus federal appropriations bill passed in March provided greater funding for transportation projects that will carry over into 2019, and environmental-related projects are getting a lift from recently passed legislation. Electric utilities/gas plants will drop 3%, continuing to retreat after the exceptional amount reported back in 2015. New generating capacity continues to come on line, dampening capacity utilization rates for power generation. The 2019 Dodge Construction Outlook was presented at the 80th annual Outlook Executive Conference held by Dodge Data & Analytics at the Gaylord National Resort and Convention Center in National Harbor, MD. Copies of the report with additional details by building sector can be ordered here or by calling (800) 591-4462. For more info from Dodge Data & Analytics, click this link.